What is a woman like you watching a show like this? When it comes to television, you might say my taste borders on stylishly low brow and eclectic. I am a sucker for period dramas in any format; movies, television, books. Sunday evenings are spent at home watching Downton Abbey. A few weeks ago, scrolling through Sky Go on my iPad, I noticed something new. Warning: This show (all 9 Episodes) is addictive, but not necessarily hazardous to your health. Be prepared to pay careful attention to the english subtitles as they race across the screen. The Spanish is spoken with such rapidity, it’s a job keeping up with the dialogue. 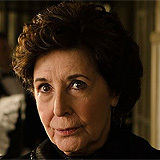 If you are a fan of Downton Abbey, you will enjoy this series. Billed as a period drama set in a sumptuous venue, Grand Hotel had me hooked from the first episode. Set in 1905, the series follows the story of Julio, a young man determined to discover the truth behind his sister’s mysterious disappearance (from the Grand Hotel) where she had been working as the head chambermaid. The series was filmed in the luxurious Palacio de la Magdalena, overlooking the bay of Santander. It is the focal point where all the drama unfolds. Originally built as a seasonal residence for Spain’s royal family, it is as central to the storyline, as Highclere Castle is to Downton Abbey. Love, jealousy, murder, succession; these are the themes that are woven into each episode. The hotel’s future always seems to hang in the balance at the Grand Hotel. Like Lady Mary, Alicia carries the weight of the world on her shoulders. Just as the Downton daughter narrowly avoided marrying a man she loathed to keep the estate in the family, Alicia must sacrifice happiness for the hotel’s future and wed its sinister manager. 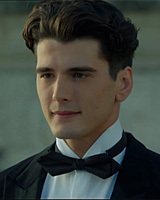 One of the benefits of watching 9 episodes of Grand Hotel has been a remarkable improvement in my Spanish and an appreciation for TV on demand! This series was originally aired in November 2012 on Sky Arts. How did I miss it?